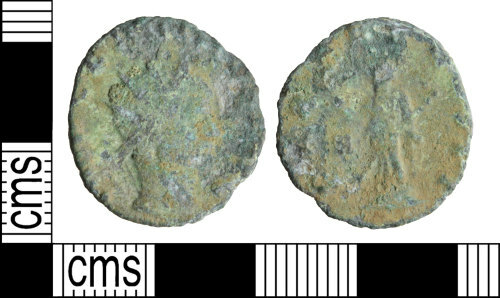 A copper alloy Roman radiate of Claudius II dating to the period AD 268 - 270 (Reece period 13). PAX AVGVSTI reverse type depicting pax standing left holding branch and transverse sceptre. Mint of Rome. Cunetio 2190.